European Masters Sale CATALOGUE ONLINE! 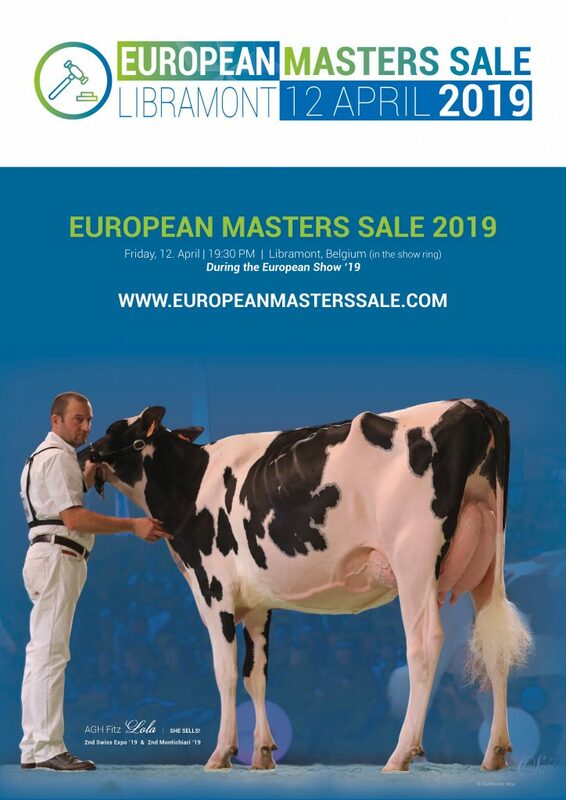 The countdown started to one of the greatest events on the Global Holstein breed agenda: The European Show in Libramont and the European Masters Sale, which will take place on the Friday-night (12. April) in the Libramont Showring! The catalogue is online and offers one of the greatest line-ups ever on a European Sale! This sale offers direct opportunities from global stars like Galys-Vray, Strans-Jen-D Tequila Red, Luck-E Advent Kandie-Red, KHW Regiment Apple Red, Rosiers Blexy Goldwyn, Lovhill Goldwyn Katrysha, Peak Goldwyn Rhapsody, Blonding Goldwyn Subliminale, Du Bon Vent Inkapi and more! As well multiple heifers are selling >2800 GTPI (up to GTPI +2897 & >1000 Net Merit), several heifers >4 PTAT and +20 DGV Conformation, >160 RZG (up to 166 RZG) and many more of the greatest index heifers in the breed which can put a big stamp on any breeding program and the entire breed in the future! The catalogue is online! Click further to read the online catalogue!